"The Appalachian Trail trail stretches from Georgia to Maine and covers some of the most breathtaking terrain in America–majestic mountains, silent forests, sparking lakes. If you’re going to take a hike, it’s probably the place to go. And Bill Bryson is surely the most entertaining guide you’ll find. He introduces us to the history and ecology of the trail and to some of the other hardy (or just foolhardy) folks he meets along the way–and a couple of bears. 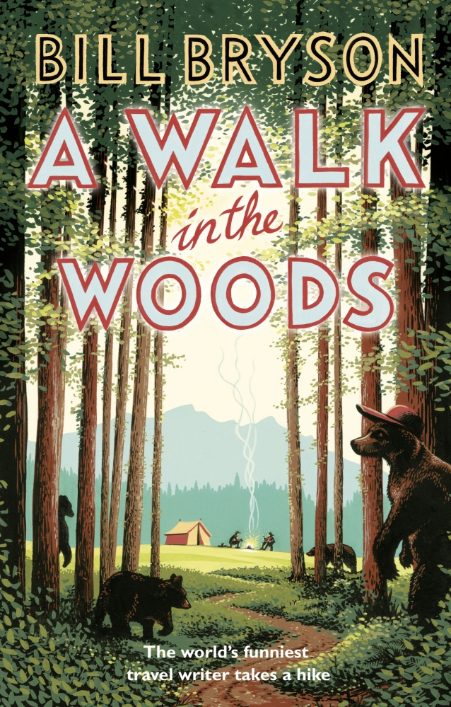 Already a classic, A Walk in the Woods will make you long for the great outdoors (or at least a comfortable chair to sit and read in)." "That's the trouble with losing your mind; by the time it's gone, it's too late to get it back." "We hiked till five and camped beside a tranquil spring in a small, grassy clearing in the trees just off the trail. Because it was our first day back on the trail, we were flush for food, including perishables like cheese and bread that had to be eaten before they went off or were shaken to bits in our packs, so we rather gorged ourselves, then sat around smoking and chatting idly until persistent and numerous midgelike creatures (no-see-ums, as they are universally known along the trail) drove us into our tents. It was perfect sleeping weather, cool enough to need a bag but warm enough that you could sleep in your underwear, and I was looking forward to a long night's snooze--indeed was enjoying a long night's snooze--when, at some indeterminate dark hour, there was a sound nearby that made my eyes fly open. Normally, I slept through everything--through thunderstorms, through Katz's snoring and noisy midnight pees--so something big enough or distinctive enough to wake me was unusual. There was a sound of undergrowth being disturbed--a click of breaking branches, a weighty pushing through low foliage--and then a kind of large, vaguely irritable snuffling noise. This is not only the first Bill Bryson book I have read, it was it was the first time I had heard of him. I know--ridiculous for an avid reader--I am not sure how that happened. I really enjoyed his mix of memoir, dry humor, and research and I look forward to reading more by him. One day on a bit of a whim, Bill Bryson, an avid traveler and travel writer, decides that now that he's returned to living in the U.S. he'd like to get to know the geography better, and what better way to do it than to hike the entirety of the Appalachian trail. This in and of itself is humorous knowing what a vast undertaking it is and how unprepared Bryson admittedly is to do it. Even funnier, Bryson begs basically everyone around him to considering joining him on the journey to no avail, that is until his equally unprepared frenemy-of-sorts agrees to hike with him and keep him company. 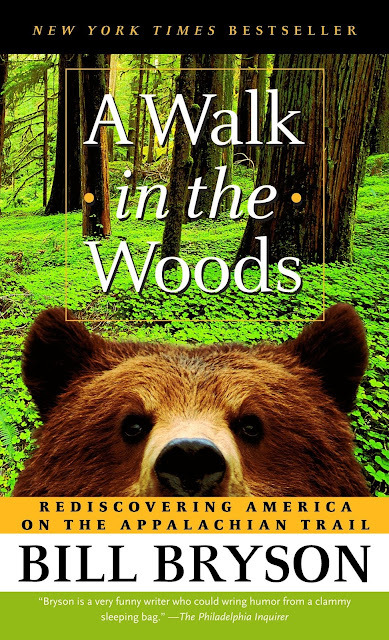 Bryson is very skilled at interweaving the story of his hike with dry humor, history, and a vast amount of research about the Appalachian trail. I thoroughly enjoyed laughing at his stories with him and I learned so much about hiking and this part of the country. I wish I had known about this book before I had read Cheryl Strayed’s Wild as this seems to be part of her inspiration. I’d definitely like to read more by him--I am still surprised I had not encountered his books before--and so I am open to recommendations on which of his titles I should try next.